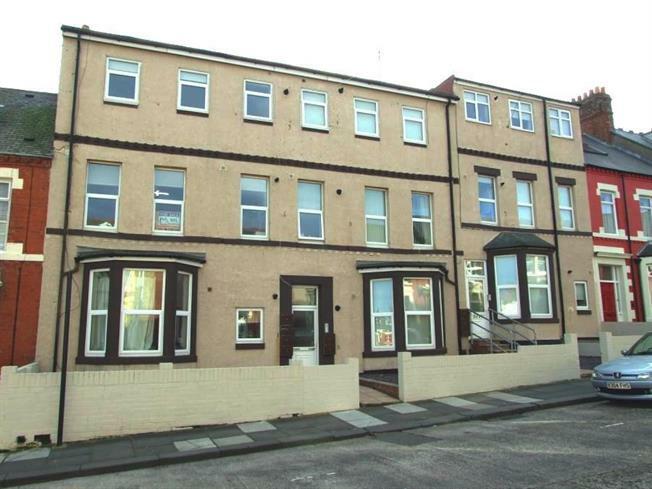 2 Bedroom Upper Floor Flat For Sale in Whitley Bay for Offers Over £112,500. A great two bedroom upper floor flat in Whitley Bay. Situated in North Parade this property is ideally situated for transport links and major road networks meaning Newcastle City Centre and coastal areas are all within easy reach. As well as its close proximity to the sea to allow you to enjoy long walks along the coast this property enjoys great access to local amenities, shops, super markets and leisure facilities. The property features a warm and welcoming hall leading to a comfortable lounge, contemporary fitted kitchen, two double bedrooms and a bathroom WC. Other benefits include double glazing throughout, central heating and secure parking to the rear. If you are looking for a great opportunity to secure a buy to let investment or ideal first time buy this could be a great option for you. Telephone intercom, coving, recessed spot light and radiator. Double glazed windows to front, laminate flooring, television point, telephone point, recess spot lighting, coving and radiator. Double glazed window,radiator, fitted wall and base units, integrated fridge freezer, integrated oven and extractor and tiled flooring. Double glazed window, radiator, coving, laminate flooring and recessed spot lighting. Double glazed window, laminate flooring, coving and recessed spot lighting. Panelled bath with shower over, pedestal wash hand basin, low level WC, double glazed windows, extractor fan, tiled floor and recessed spot lighting.